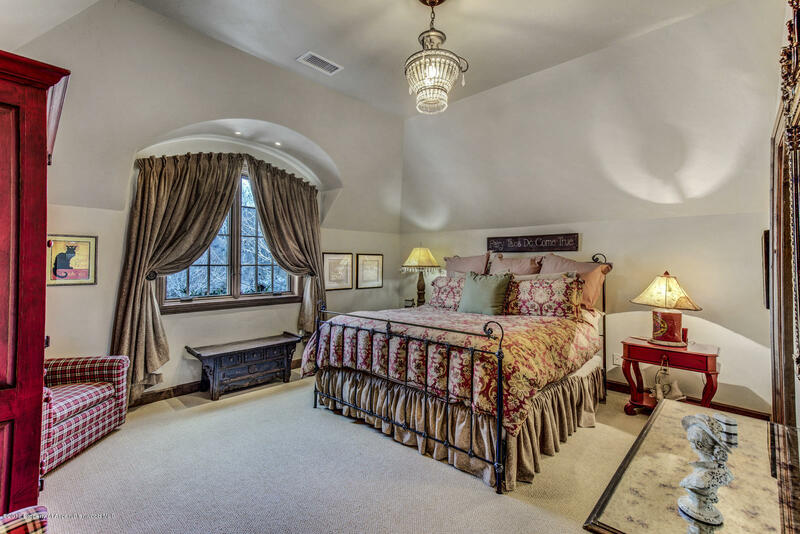 Your fairy tale home awaits! 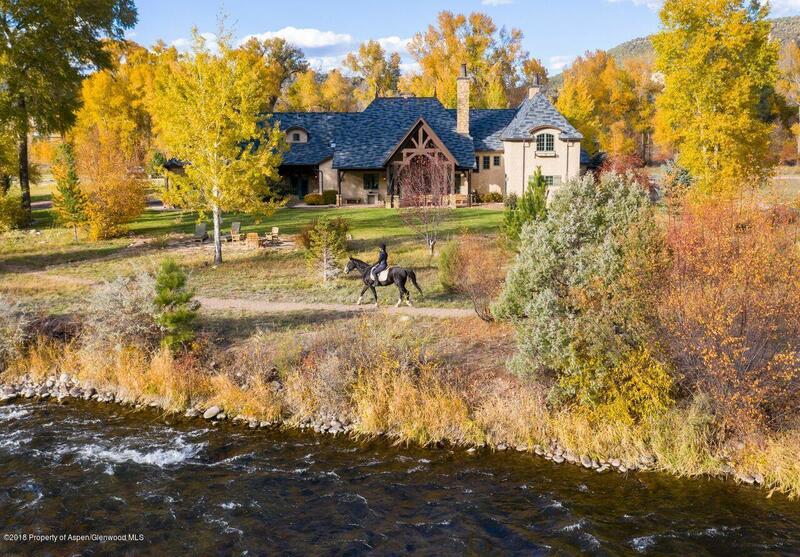 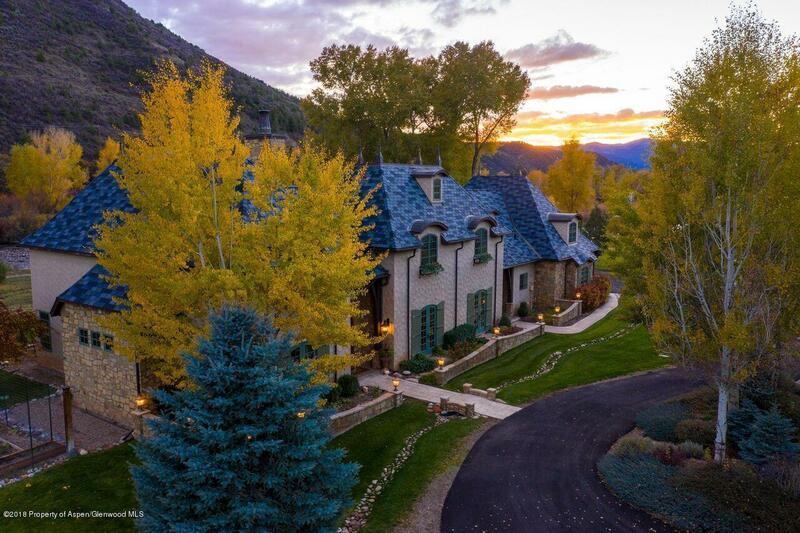 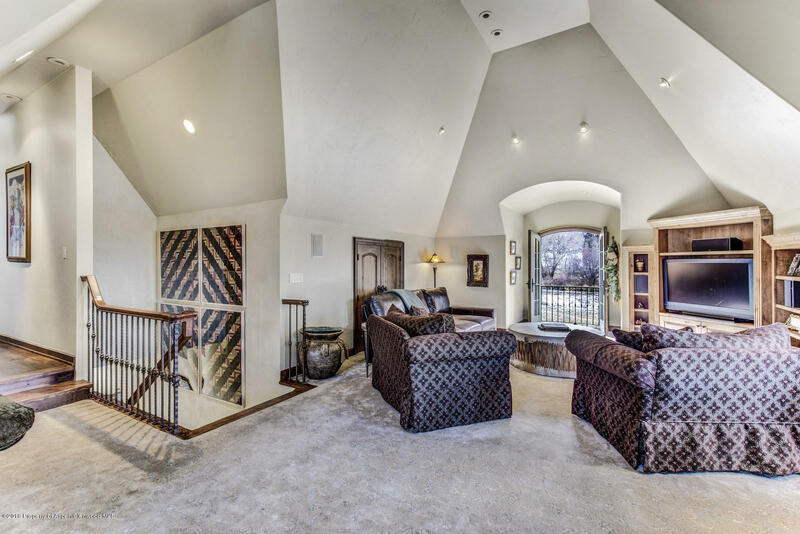 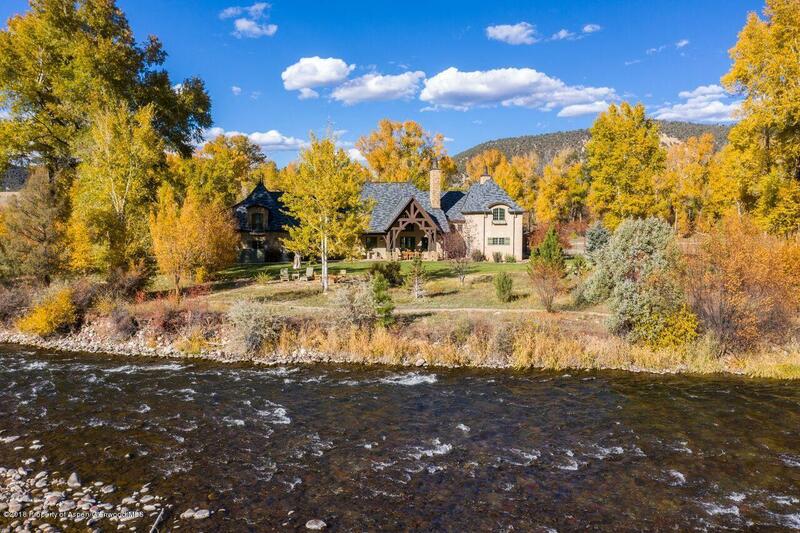 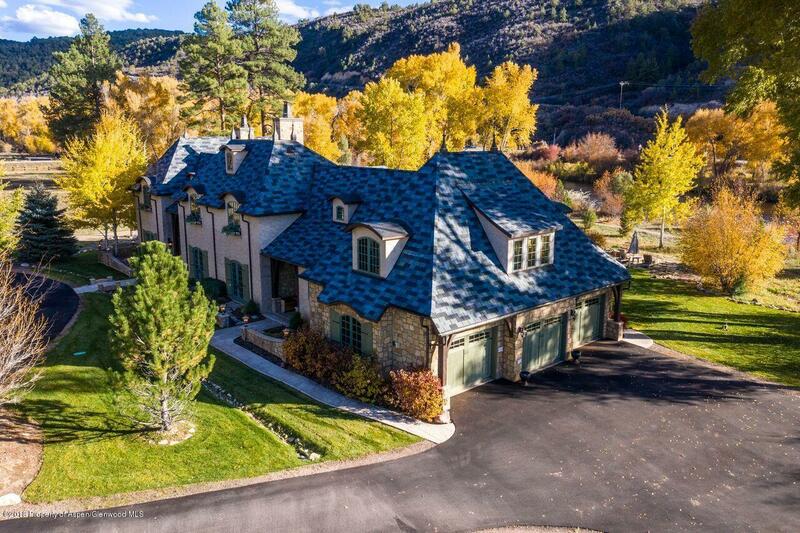 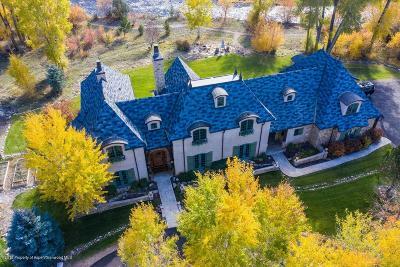 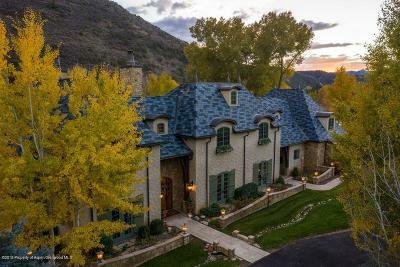 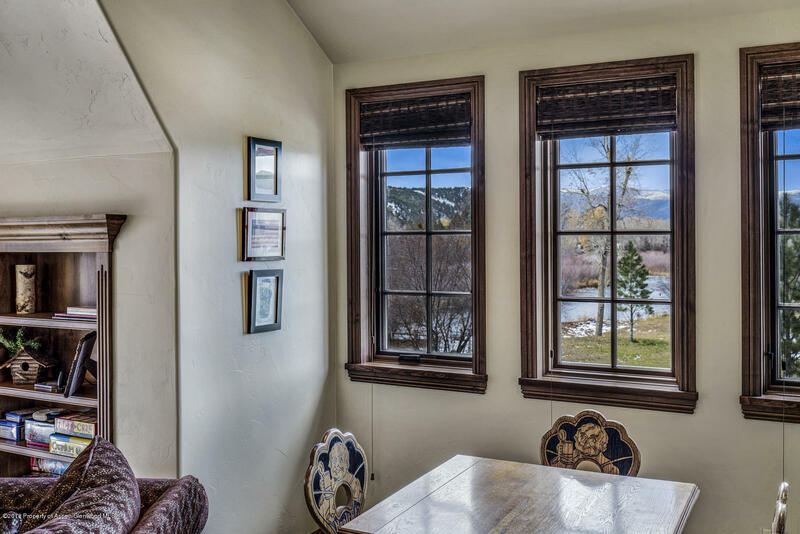 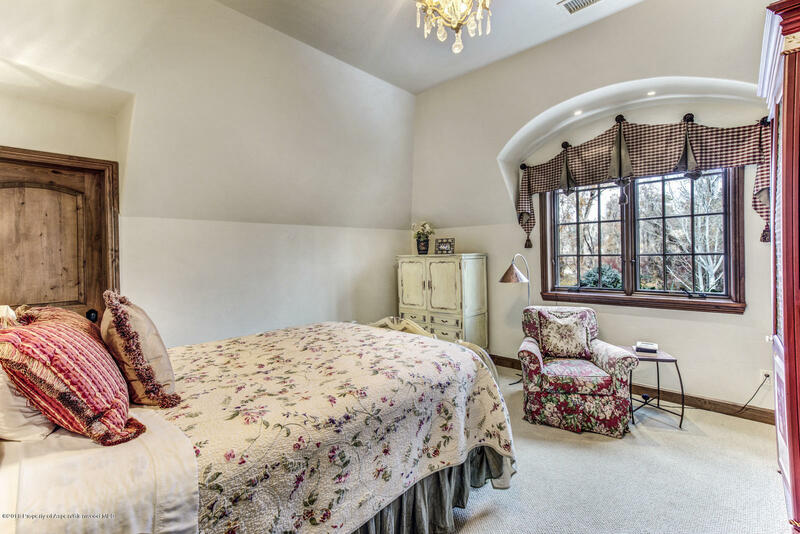 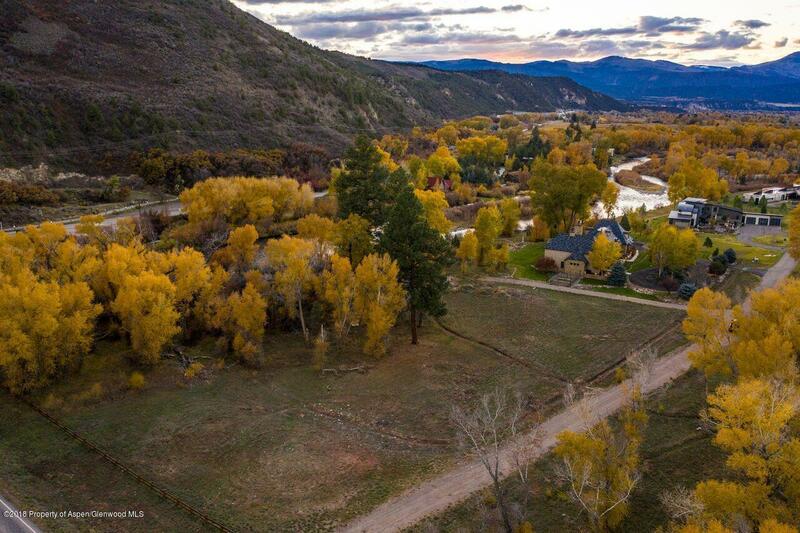 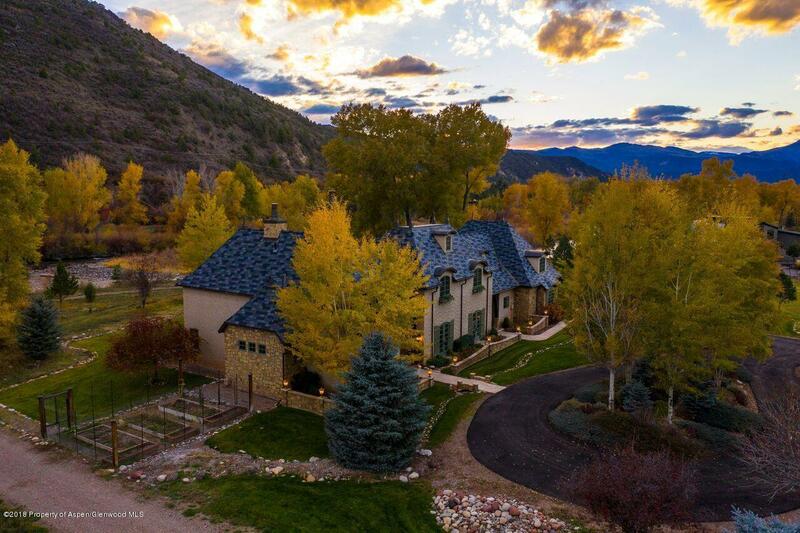 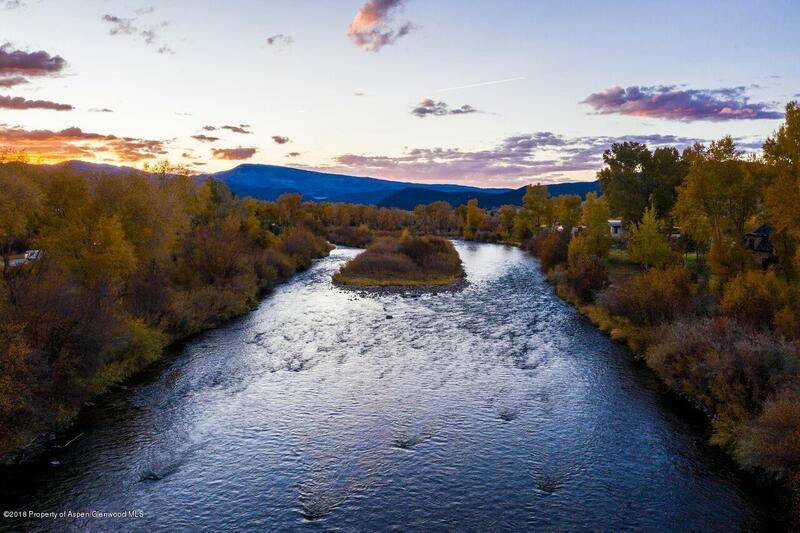 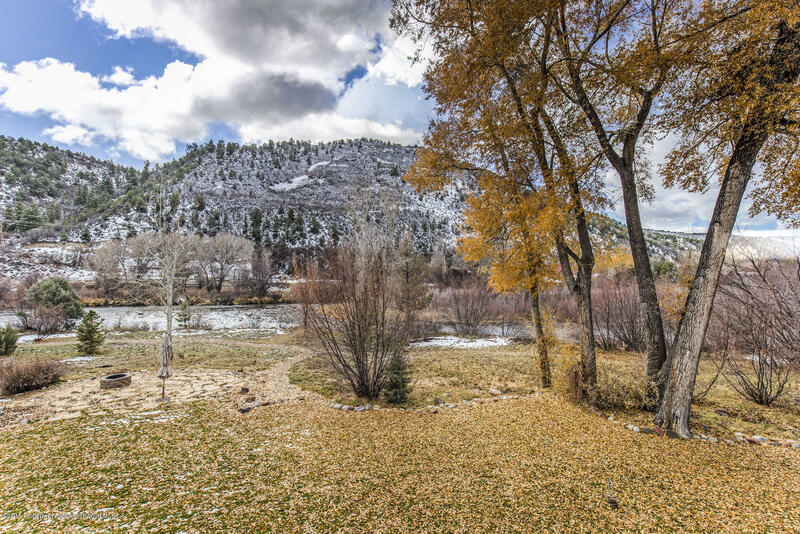 This enchanting chateau on the banks of the Roaring Fork River in Carbondale is nestled on a large corner lot in St. Finnbar Farm. 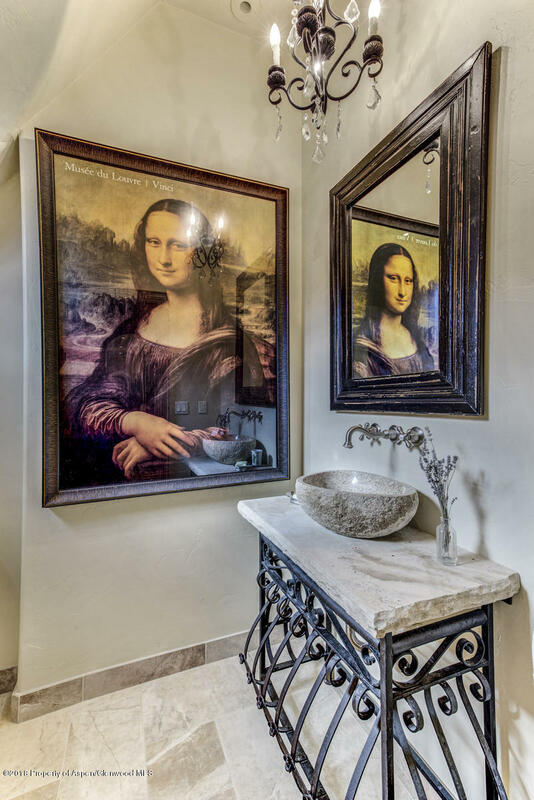 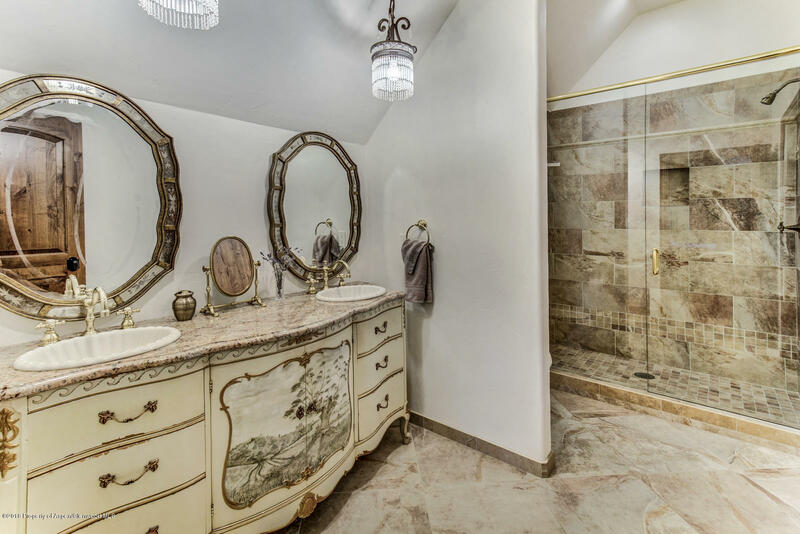 The French country style home which sits on 6.3 acres boasts 4 bedrooms, all with en-suite bathrooms including a main level master bedroom and grand master bathroom. 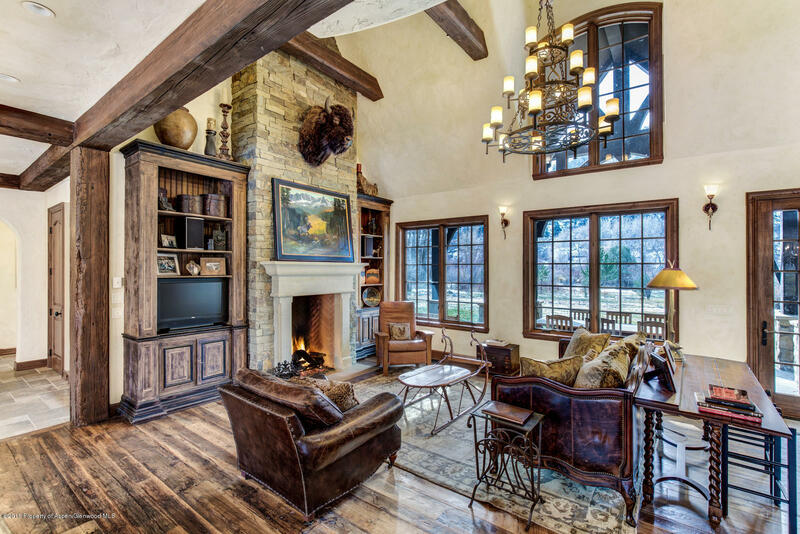 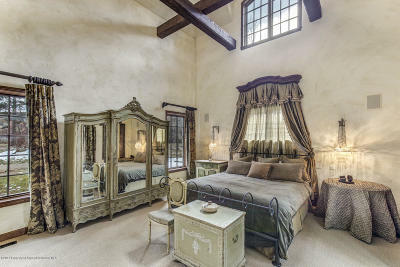 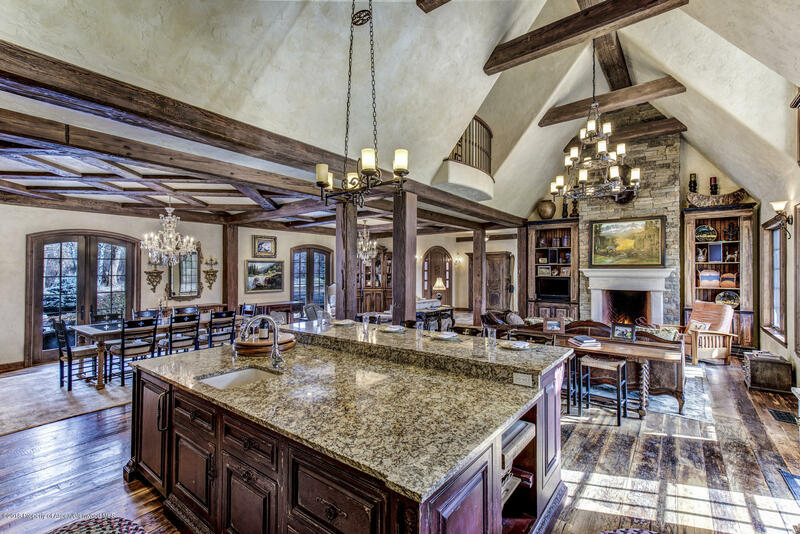 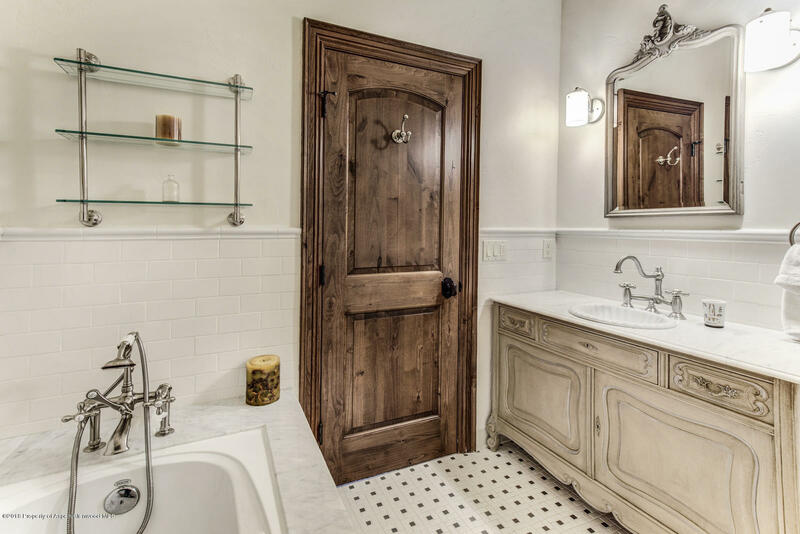 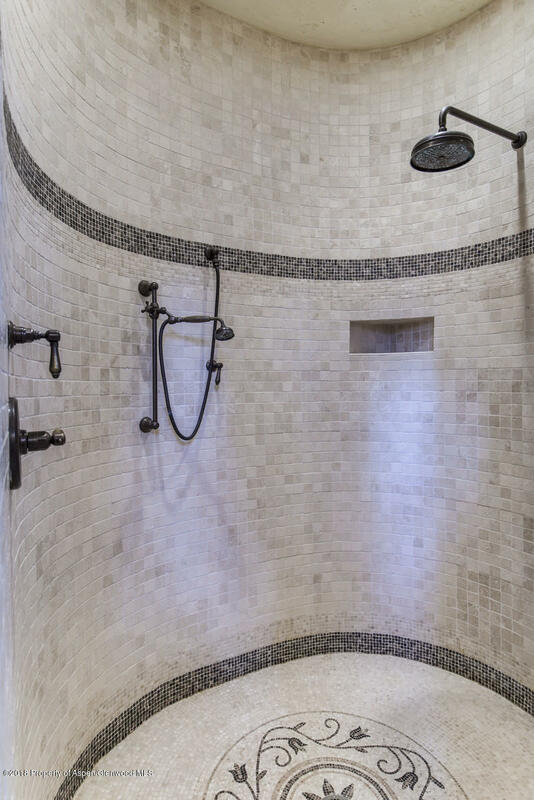 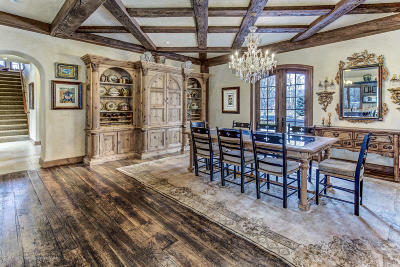 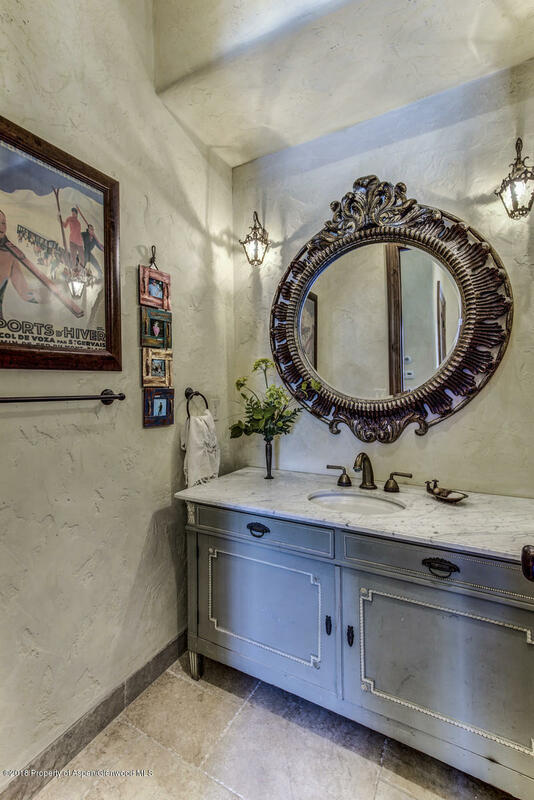 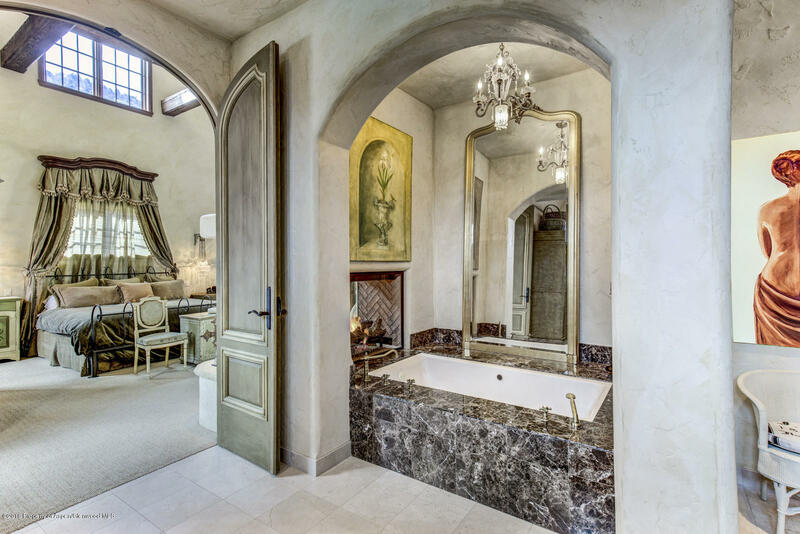 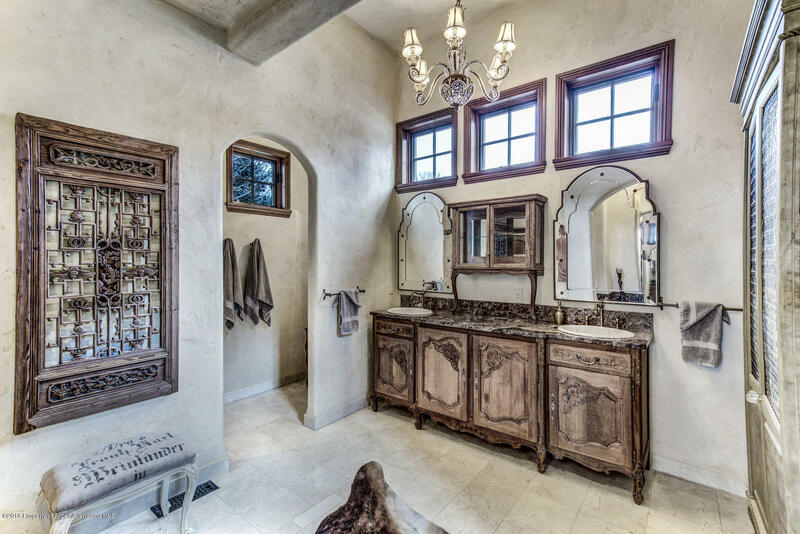 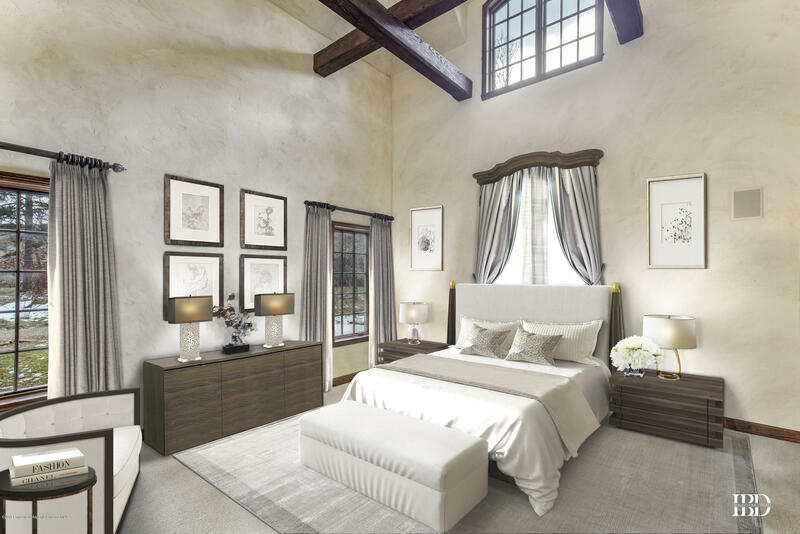 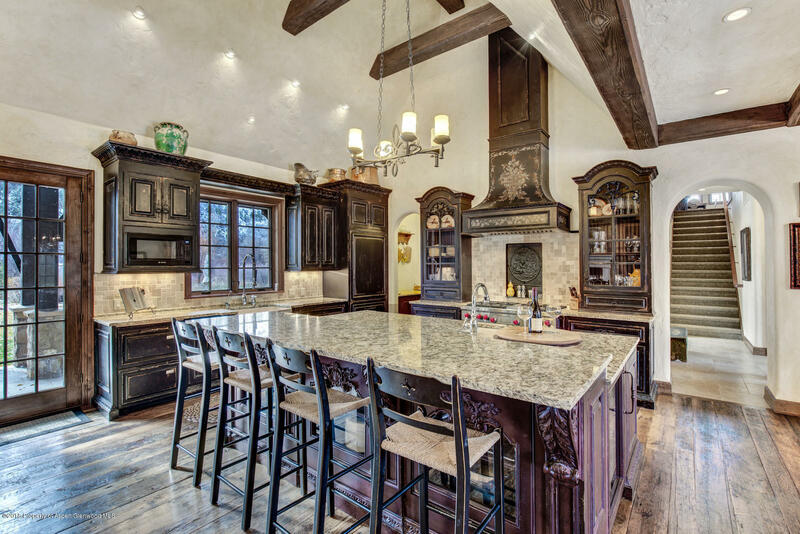 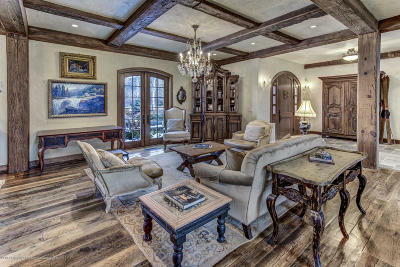 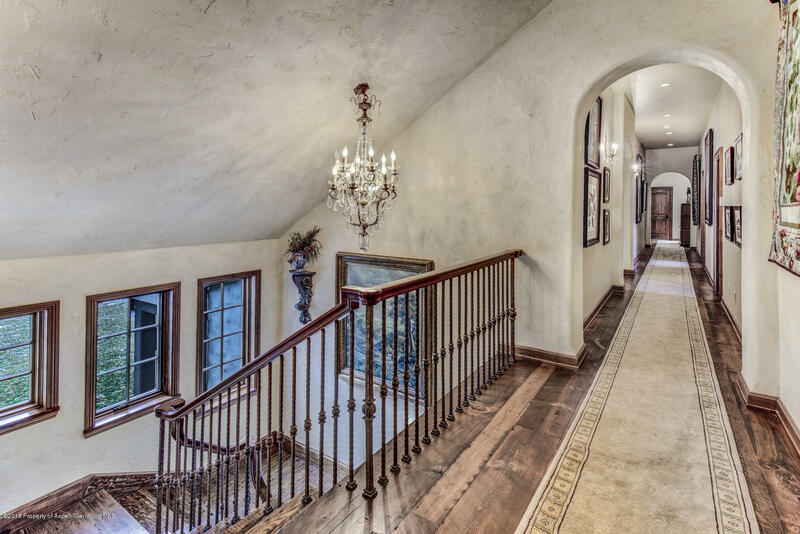 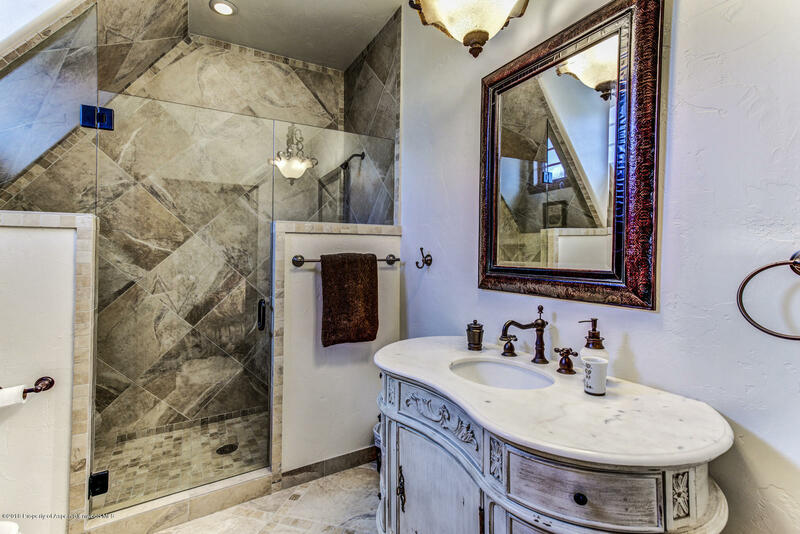 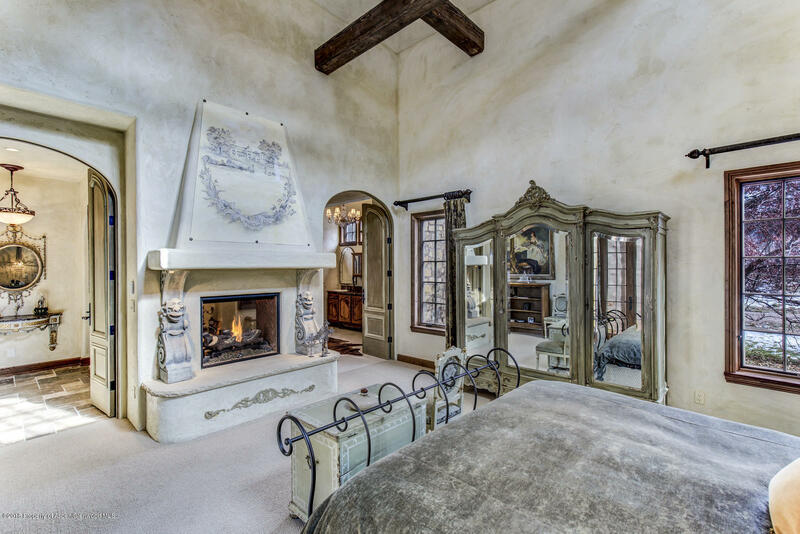 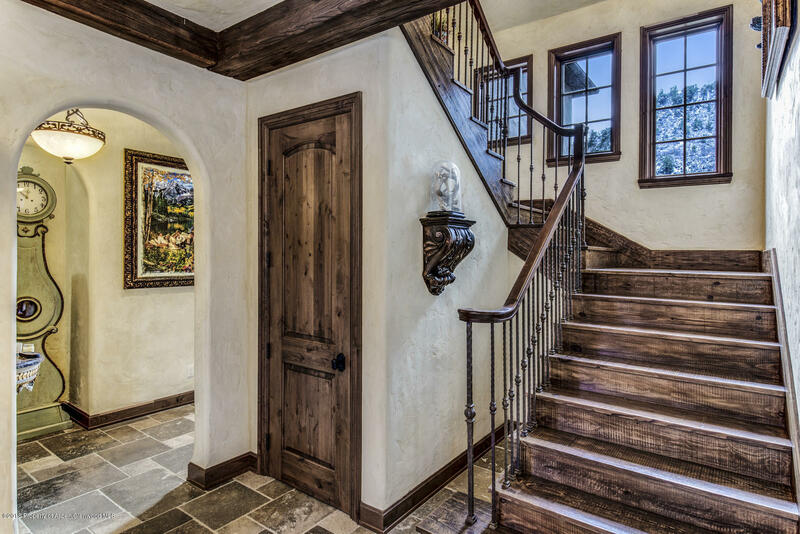 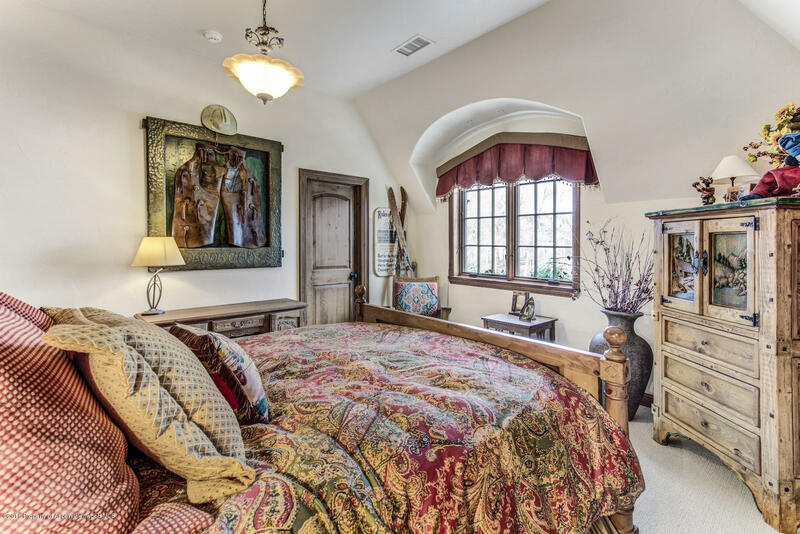 This 5, 250 estate is elegant yet cozy and warm with imported textiles from all over the world including natural 75 year old wood beams, reclaimed flooring, Habersham cabinetry, beautiful natural stone products, European chandeliers and sconces. 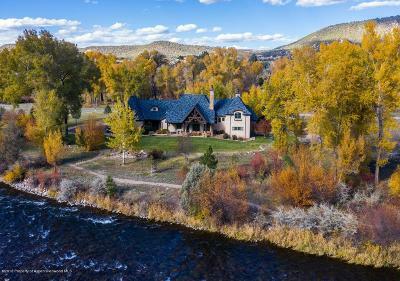 Enjoy the large manicured lawn and lush English gardens that surround the property or sit by the stone fire pit while listening to the river and watching the sun set.